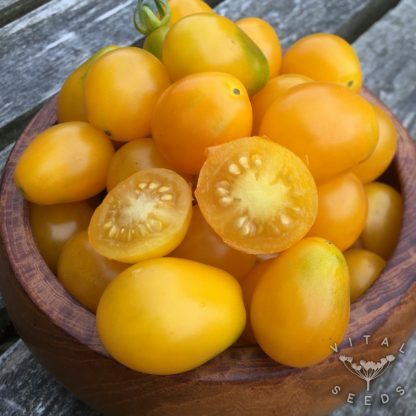 Yellow indeterminate cherry tomato that produces lots of small pear-shaped fruits in large trusses. 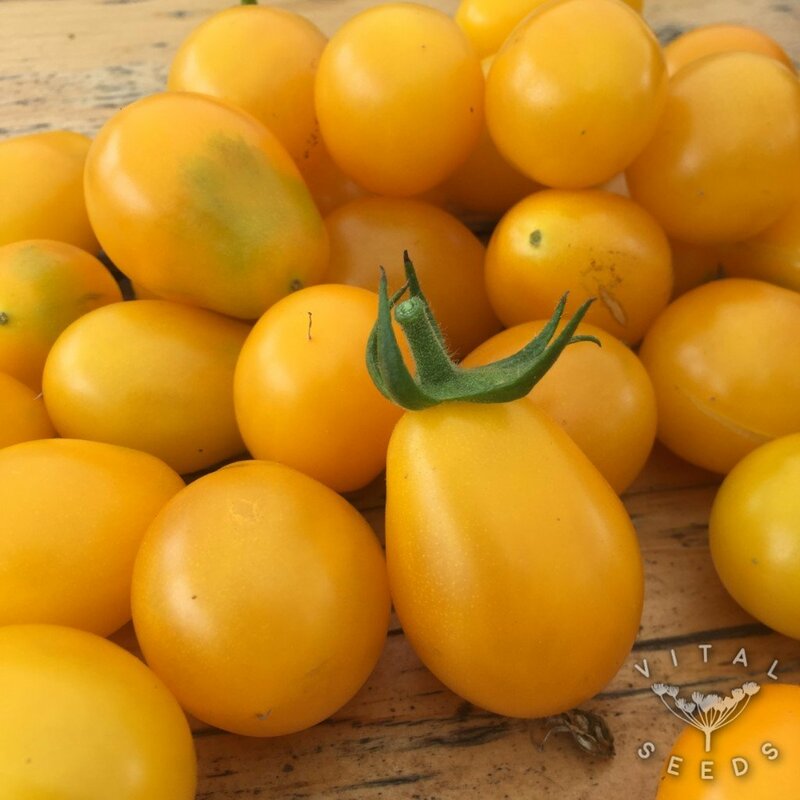 The fresh, sweet taste with juicy pulp and low acidity levels make this a popular tomato variety that will always look good amongst other tomatoes. The plant is a potato leaf type with an open growth. This is one of our most productive varieties, it just keeps giving. 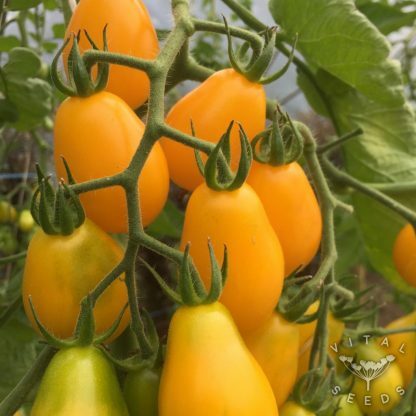 Great in salads and despite the unusual colour it makes a very delicious tomato sauce. However we end up eating most of them straight off the plant as they are so tasty!